Hey all I just thought I'd humbly submit a proposal for the history of the USS Renaissance, and past ships to bear the name if that's all right? 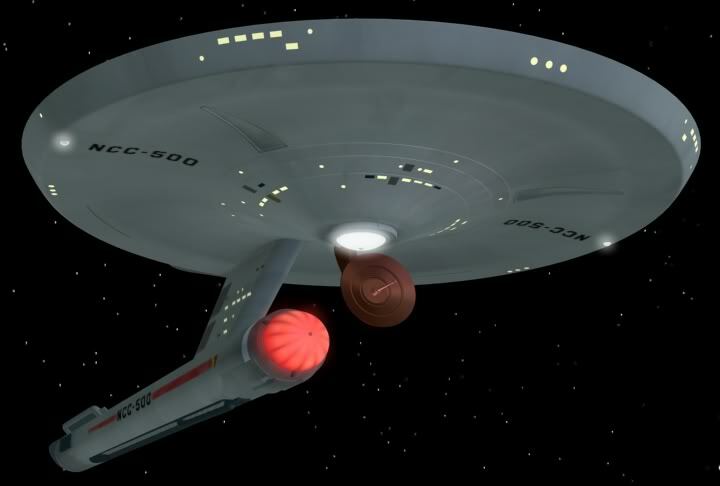 The first ship to bear the name Renaissance in Starfleet history, was a Neptune Class starship built in orbit of Luna, and launched on July 6th, 2152 and was under the command of Captain Kenneth Sterling. The Renaissance spent most of it's early carrier exploring, and cataloging the Berengaria system, initially surveyed by the USS Enterprise, and returned from it's survey mission to Earth in 2156 to little fanfare. 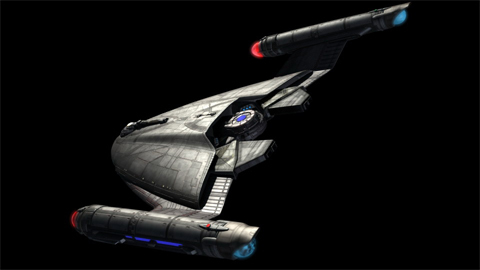 That same year, the Earth-Romulan War began and the Renaissance took part in many of the wars early offensive actions until, as a result of a perverse stroke of luck, the ship struck a cloaked Romulan vessel shearing off the ships rear impulse drives, and caused half the ship to vent atmosphere, killing Captain Sterling, and most of the senior staff. The crippled ship was towed to Vulcan where she spent most of the war under repairs, until 2160 when she was dragged prematurely from the space-yards by Lieutenant Commander Johannessen to take part in the final battle of the war, and arguably the most pivotal, the Battle of Charon. The ship survived the battle, and the end of the war and returned to Vulcan to finish her refit which lasted another two years thanks to the damage sustained during the Battle of Charon. 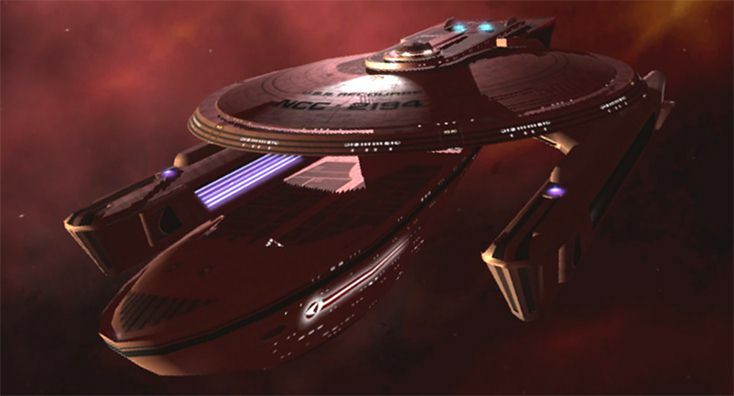 The ship was relaunched on her tenth anniversary, and spent her last four years of service under the command of Captain Lockner as the Renaissance aided in protection and construction of various structures throughout the Berengaria system, until she was finally decommissioned and scrapped for parts in 2166, after fourteen years of faithful service. I like it so far, continue. And thanks for compensating for my being too lazy to get a history together. Sorry I haven't been feeling to well today, and I figured getting a post up was more important, si I'll have this up tomorrow. God I need to stop making promises like these in Simming. The Saladin Class Renaissance was launched from the San Francisco Fleet Yards in 2247, and served primarily as a border patrol, and survey vessel, under the Command of Lieutenant Commander James Clarkson. As a border patrol ship with the Romulan Neutral zone the Renaissance and her crew were forced to walk the fine line between keeping the border secure, and making sure they didn't do anything that could spark another war with the Romulans. 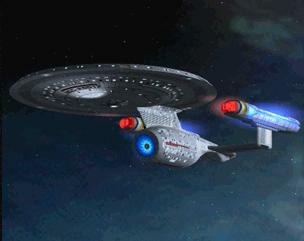 She finished her first tour of duty in 2250 and returned to Earth, after years of being relatively disconnected from Federation Society as a whole, and Clarkson promoted to full commander, before the ship began her second tour of duty, this time as a survey ship helping to map the Federation's border with the Tholians. Unfortunately the ship was literally lost two years after beginning her survey mission, her last transmission mentioning a Binary Star System. To this day the mystery of the Renaissance is one that a piques a few peoples interest, along with what seems like a gargantuan number of ships lost by today's standards from that era. Despite recent talks with the Tholian Assembly no official inquiry has been made as to how the ship disappeared or why, although it is often believed to have been destroyed in a Tholian attack, similar to the one that caused the USS Defiant to go missing. Starfleet did mount a limited search effort, however they were hindered by an inability to bring sufficient resources into the area, and the Renaissance was declared destroyed with all hands presumed dead in 2255.